The forex looks to be heating up, with the USD extending Monday’s strength. Economic data has been mixed this morning. The U.S. Goods Trade Balance underperformed expectations, while the Case-Shiller Home Price Indices posted a moderate gain. No matter the rationale, the USD is rallying against the Canadian dollar, Swiss franc and the Euro. Active markets bring opportunity, so be sure to monitor the Trading Signals page for ideas on how to capitalize on the action. Currently, there are open signals for the EUR/USD, USOIL, and USD/JPY. Check them out! No doubt about it, successful trading is often a game of inches. Receiving consistently good fills at an opportune time depends largely upon selecting a competent broker. The success of my trade recommendation for the USD/CAD Monday short (1.2771) came down to who your liquidity provider was, and the daily high that was quoted. I have taken a look at several different sets of historical data from Monday and the listed daily highs range from 1.2769 to 1.2771. If yours was the latter, kudos on the 18 pip hit. If not, do not worry. 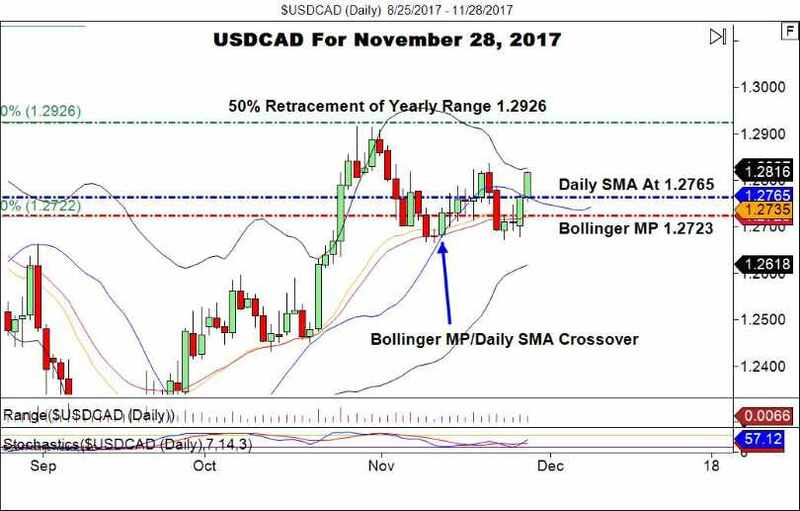 The USD/CAD is running towards a macro resistance level that will serve as another short entry. Bottom Line: Currently, price is trading at an intraday high of 1.2822. Our macro resistance level is present at 1.2926 and has proven valid through three distinct tests. For the remainder of the week, I will be looking to go short from the triple-top of 1.2909-1.2916. This is an important area for participation and has been a profitable one. With an initial stop at 1.2955, this trade produces between 40 and 46 pips using a 1:1 R/R strategy. As always, trade smart and for tomorrow!